Hey, my long lost friends! It’s been a minute since my last post was published. More like a few months. Sorry, y’all! Eek! Life has taken over and it has been bonkers. 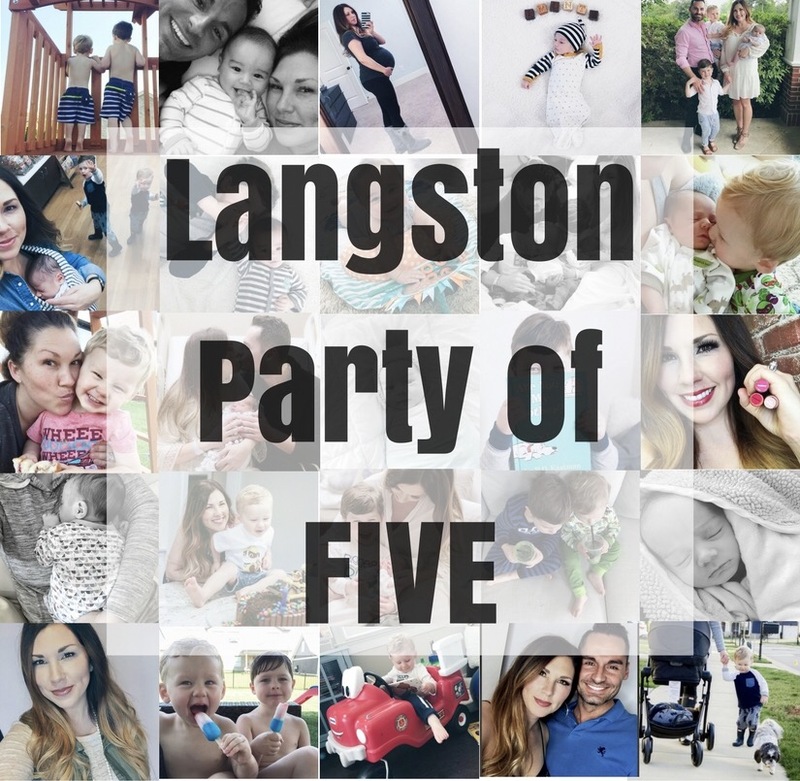 I’m finally back and here to fill ya in on life for us now as the Langston’s, party of five. Somehow we’re at the end of summer and I have no idea where the last 7 months of my life have gone. Honestly, I feel like I’m coming out of a fog. Mommin’ is hard, y’all! More on that later. The boys (Harp & Ro) are starting a Mother’s Day Out program next month. Summer has been great with the lax schedule and all the fun that it brings. BUT, let’s be honest…I know I’m not the only mama pretty psyched about getting back into a routine. Not to mention, having the boys plugged in somewhere for interaction and activities is going to be so great. Working from home with kiddos is practically impossible unless you’re a vampire and don’t need to sleep. Which is pretty much what most moms are anyway. Ha! Anyway, I digress. A lot has happened in the last 3-4 months! Since I’m always the most active on Instagram, I thought I’d show you life for us through little squares. I’m REALLY excited to get plugged back into my blog and talk more about what’s been going on and what’s to come for me and my crew. Stay tuned for all of that. I promise, it’s coming and it’ll be fun! Until then, here’s a little look into our lives the past few months. Hope y’all have an awesome week!! Until next time! The cutest family!! Seriously happy chaos is our life! Thank you, sweet friend! It really is! Lol! What adorable pictures of your family! Cant wait to see more posts! Happy to have you back girly! Thank you, friend! Pumped to be back!